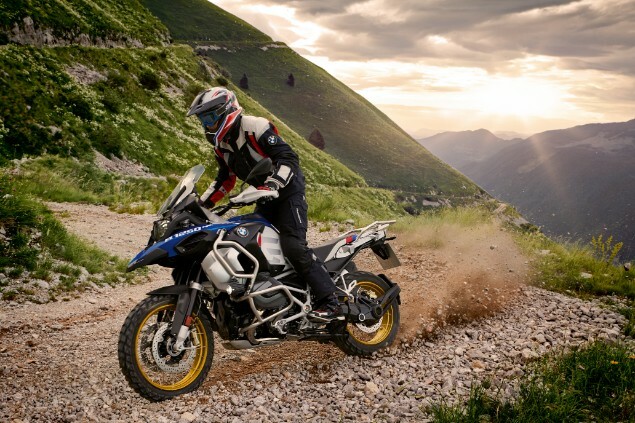 With BMW’s R1250GS and its Adventure variant, the GS Adventure, together being Britain’s best-selling bike for a decade, any changes are big news. 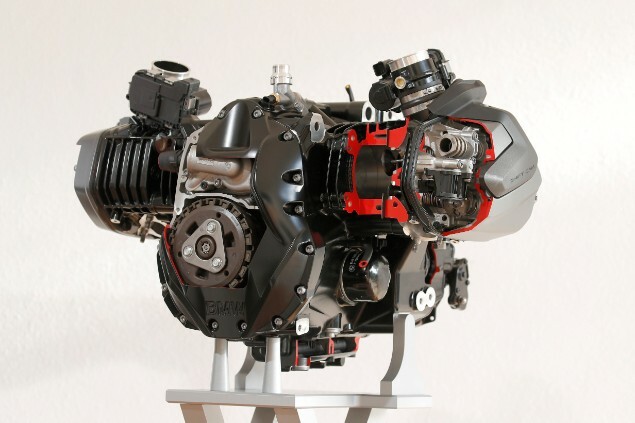 It doesn’t get much bigger than an updated engine boasting pioneering technology and an impressive performance boost across the board. 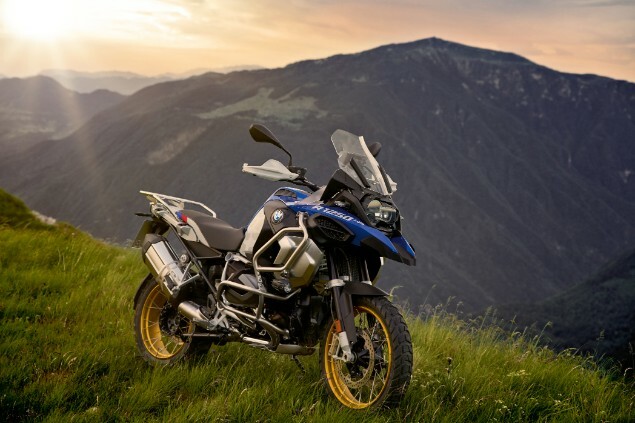 That new engine is the new ‘ShiftCam’ version of BMW’s characteristic boxer twin as already well-publicised with the recently introduced standard R1250GS model. The verdict then was it has reinvigorated the GS in the one area it needed it most. You can read our full review of the standard GS model here. Now that same engine has been installed in BMW’s biggest boxers of all, not just the larger Adventure but also the RT tourer, with the hope of the same, if not even greater results. 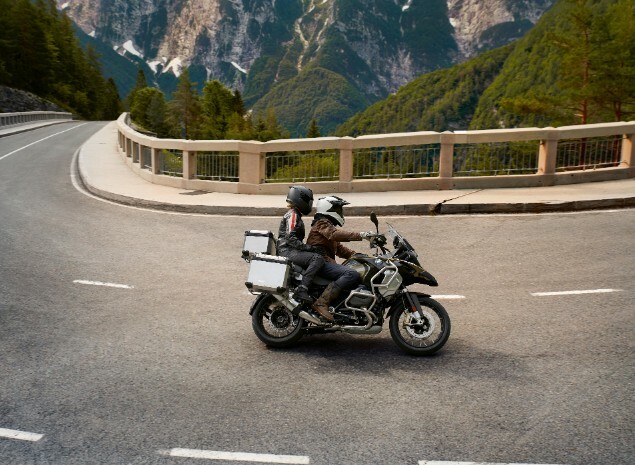 The BMW R 1250 GS Adventure model now outsells the standard GS model in the UK market as more and more buyers opt for the larger 30-litre (against 24-litre) fuel tank that gives an extended riding range. Along with moves in recent years to make the seat height more manageable for shorter riders, the Adventure model has been gaining sales compared to the standard bike every year. The new engine has an enlarged capacity of 1254cc (from the old 1200’s 1170cc) via both the bore and stroke being extended from 101 and 73mm respectively to 102.7 and 76mm. But just as important is BMW’s introduction of what it calls ‘ShiftCam’ technology whereby each of the two camshafts per cylinder now has two lobes per valve rather than the conventional one. The first lobe has a softer profile designed to optimise partial load, lower rpm performance. The second, a more extreme profile to enhance full load, higher rpm performance. A clever shift mechanism switches seamlessly between the two at 5000rpm (or in response to sudden throttle openings). And the result is not just a healthy 9% boost in peak power to 136bhp (from the 1200’s 125) but a 14% increase in peak torque to 143Nm. In other words: it’s the best of both worlds – increased peak power AND low rpm flexibility. But at a cursory glance, with most of the rest of the GSA unchanged, you’d be forgiven for failing to spot any differences. 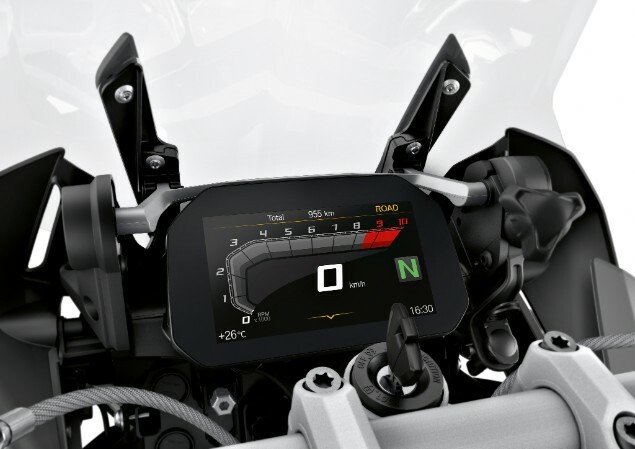 Last year’s impressive, extra-cost, 6.5in full colour TFT dash is now standard while front brake calipers are now BMW branded (but by Hayes, a US firm best known for bicycle products) in place of the 1200’s Brembos. Lights are now LEDs, ASC stability control is also standard and a hill start control is added. But on the move the GSA’s ‘heart transplant’ is powerfully evident and gives the big, 30-litre-tank Adventure added zest and youthful drive. At low revs, in either of the two standard engine modes, Rain and Road (more, including Dynamic and Enduro Pro come in different options packages), the extra torque makes easy work of the Adventure’s bulk. While above 5000rpm, the GSA drives onwards and upwards towards its 9000rpm redline with a new willingness and excitement. Most impressive of all, though, is how smooth, progressive and refined it all is. The ‘shift’ may completely unnoticeable but the step-up in the GSA’s performance is glaring.